AAUA admission list – The list of candidates offered admission into the Adekunle Ajasin university, Akungba-Akoko (AAUA) Undergraduate Programmes for the 2018/2019 academic session is out. 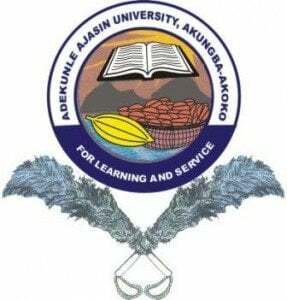 This is to inform all the candidates that participated in the Adekunle Ajasin university, Akungba-Akoko (AAUA) Post UTME screening exercise for the 2018/2019 academic session, that the management of the institution has released the admission list. How to Check The Admission List. NOTE: the list will also be available on the school’s portal shortly. Congratulations to all the candidates that made it to AAUA admission list for the 2018/2019 academic session.